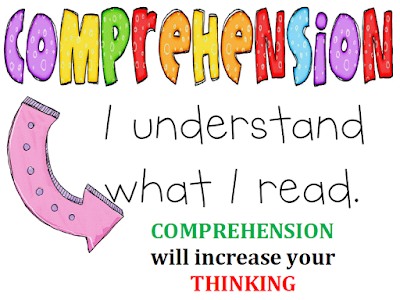 GMAT Reading Comprehension is one of the best way to increase your thinking ability. 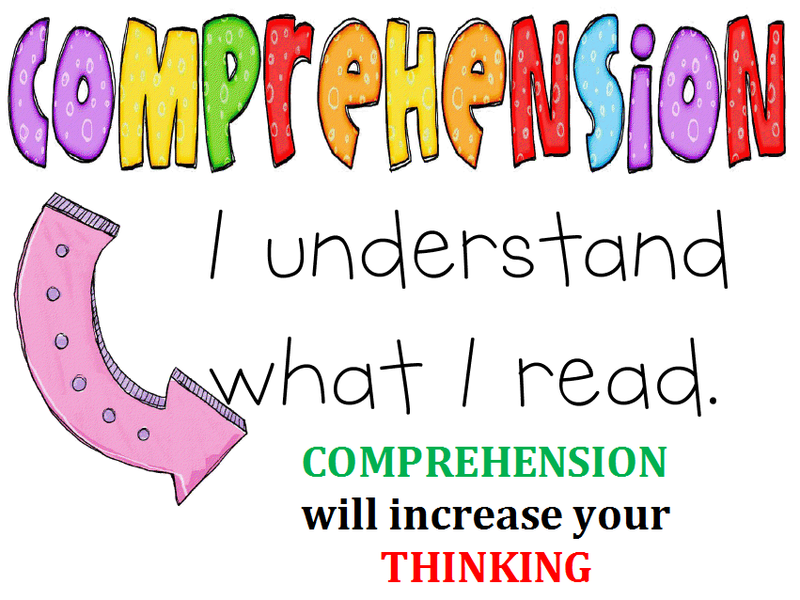 Reading comprehension will increase your understanding and critical thinking ability. Five comprehensions are given below. Practice all of them and try to answer the questions without seeing the given answers. It will help you to judge your intelligence. 1) GMAT Reading Comprehension: Time management refers to a set of skills, principles, tools, and practices that work together and assist you in getting more value out of your time and improve the way you live your life. Time management also refers to the different ways that are used for planning and exercising proper control over the amount of time that is spent on number of activities with the aim of increasing efficiency, effectiveness, performance and productivity. Time management does not necessarily mean that you should do more work in less time; rather it means how much of the important work you get done in the time that you have. There are a number of techniques that you can use for managing time while performing tasks within the specified intervals of time. The steps that you can follow for achieving proper time management include writing down the tasks that you have to perform, prioritizing the list of tasks, planning your work according to your time schedule. You must always think properly before initiating with any project or work. This will greatly help you in avoiding wastage of time on unnecessary things. Find out the resources that can help you to fulfill the task in less time and more effectively. The first generation approaches consisted of the watch and clock based reminders, which were used to alert people about the time when a task is to be done. The second generation approaches consisted of the use of calendar and notepads for scheduling the appointments as well as planning and preparing for the work. Setting of goals was also included in this approach. The third generation time management activities included planning and prioritizing of the tasks to have a control over them. These activities were carried out with the help of gadgets such as computers or PDA-based systems. Personal organizers and paper based objects were also used for prioritizing work activities daily. The fourth generation time management approaches favored importance as compared to the urgency. Here, the duties that were more important were performed first instead of those that were very urgent but not important. All you need is dedication and practice in order to master the art of time management. 1. Who introduced the time management categorization scheme for categorizing the hundreds of approaches that were used for time management? 2. The fourth generation time management approaches were based on which of the following principle? 3. Which of the following scheme used watch and clock based reminders for time management? 4. Fill in the blank by choosing the most appropriate option of the following choices. 5. What are the qualities required in order to master the art of time management? 2) GMAT Reading Comprehension: The term Ice cream has been derived from the term iced cream or cream ice. Ice-cream is basically a frozen dessert that is usually prepared from dairy products. The major dairy products used for making ice cream are milk and cream. These products along with other products such as fruits, various essence and other flavors are used to make ice creams having different flavors and tastes. Nuts such as almonds, cashew nuts, hazelnuts and walnuts are popularly used for adding a different and rich flavor to the ice cream. Though major varieties of ice creams are made using sugar; some of them also contain sweeteners for giving a sweet taste to the ice cream. In addition to the natural ingredients artificial flavors and colors can also be used for making different types of ice creams. First of all, you slowly stir the mixture of the ingredients of your choice while cooling it. This is done to prevent the formation of large crystals of ice in the ice cream and incorporate air in to the mixture. The outcome of this procedure is smooth textured foam which is in a semi-solid state. You can scoop this foam as it is malleable. The phrase "ice cream" has different meanings at different places. For instance, "frozen custard", "sorbet", "gelato", "frozen yogurt" and many other phrases are used to differentiate the different varieties and styles of ice creams at different places all over the world. Also, the commercial use of the phrase "ice cream" depends on the relative quantities of the main ingredients used for making the same. In countries, such as the United States of America, the phrase "ice cream" is applicable to some specific varieties only. In countries, such as Argentina Italy and, you can use it for all the variants of ice creams. For those people who are allergic to dairy protein or have some other medical constraints, there are ice creams made from dairy alternatives which include milk of goat's or sheep's or even milk substitutes. Vanilla and chocolate are some of the most popular and most demanded flavors of ice cream all over the world. The first ice cream made was a combination of snow, nectar, fruit pulp and honey. The credit for this type of ice cream was given to Emperor Nero of Rome. He sent this frozen dessert to his slaves into the mountains to get back. Governor Bladen of Maryland then served ice cream to his guests in the year 1700. In 1776, the first ice cream parlor was opened in America in the New York City. Jacob Fussell established the first commercial ice cream plant in Baltimore in 1851. 1. What are the major dairy products used for making ice creams? 2. Who served ice cream to his guests in the year 1700? 3. The first ice cream made was a combination of snow, nectar, fruit pulp and ________? 4. The first ice cream parlor was opened in America in the New York City in which year? 5. Jacob Fussell established the first commercial ice cream plant in which city? 3) GMAT Reading Comprehension: The real name of Birbal was Maheshdas Bhatt. He took birth in a Brahmin family in the year 1528 in Ghoghara, Sidhi district of Madhya Pradesh, India. Maheshdas was the third child of Gangadas and Anabhadevi. He lost his father Gangadas, at a very young age. Since, then he resided with his grandfather Rupdhar, who resided in the city called as Patrapunj. His grandfather Rupdhar was a great Sanskrit scholar. Rupdhar started with the education of Maheshdas at a young age of 5. He taught him Hindi, Sanskrit and Persian which was the state language then. Following the family tradition of learning music and poetry, he learned music and poetry as well. Soon he started writing his own poems and setting tunes to them. This made him as a famous poet, musician and a well known singer. In addition to all these qualities, he also had a great wit and very good sense of humor. He used to make a mark with his witty communication skills on anyone he met. The kings and emperors in those days were very good admirers of art. When the king of Jaipur, Bhagawandas, heard about Maheshdas talent, he invited him with great honor to his own composition in the court of Jaipur. Maheshdas used to write poems under the stage name 'Brahm' and hence, he became well known as 'Brahmakavi'. Following this, he was invited by Raja Ramachandra of Rewa at his court. When the emperor Akbar came to know about Maheshdas knowledge, intelligence and wisdom, he invited him to be a part of the royal court in the year 1556. Pleased with Maheshdas, Emperor Akbar bestowed upon him a new name – Birbal, where Bir means Brain and Bal means Strong. He was also conferred with the title of Raja by Emperor Akbar. Along with being a part of Akbar's inner council of nine advisors, known as the 'navaratna', a Sanskrit word meaning nine jewels, he was also one of the most trusted members of Emperor Akbar. Birbal worked with Akbar for a period of 30 years. Maheshdas was not only good at poetry, singing and music; but he was also very expert in the art of warfare. Pleased with his participation in the mission of Sultanpur at Punjab, the Emperor not only conferred him with the title of Veervar but also gave him the Jagir of Nagarkoth. You can find the collection of Birbal's writings in the Bharatpur museum located in the state of Rajasthan, India. It is said that, Birbal was found to death while heading a large military troupe during the mission of Afghanistan. 1. What was the real name of Birbal? 2. Maheshdas used to write poems under the pseudonym 'Brahm' and hence, he became well known by which name? 3. Where can you find the collection of Birbal's writings? 4. What was the name of the couple who gave birth to Birbal? 5. Pleased with the participation of Maheshdas in the mission of Sultanpur at Punjab, the Emperor not only conferred him with the title of Veervar but also gave him __________? 4) GMAT Reading Comprehension:The development of computers in the 1950s led to the discovery of the Internet. The evolution of internet began with the point-to-point communication between the mainframe computers and other terminals in a small area. This plan then developed into the point-to-point connections between the computers in a wider area. The latest research then expanded into packet switching. In the late 1960s and early 1970s, the packet switched networks such as ARPANET, CYCLADES, Merit Network, Mark I at NPL in the UK, Tymnet as well as Telenet, were developed with the help of a wide variety of protocols. The development of the packet switched network ARPANET led to the expansion of protocols for internetworking. These protocols were used to merge multiple separate networks together, to form a network of networks. In the year 1974, Arthur C Clarke described the future of omnipresent networked personal computers in an interview. In the year 1982 the standardization of the Internet Protocol Suite (TCP/IP) took place. This led to the introduction of the Internet which was a world-wide network of fully interconnected TCP/IP networks. In the year 1981, when the National Science Foundation (NSF) developed the Computer Science Network (CSNET); and in the year 1986, when the NSFNET allowed the access from the educational and research centers in the US, the access to the protocol ARPANET was extended. Emerging of the ISP's i.e. the Internet Service Providers took place in the late 1980s and 1990s. But, in the year 1990, the ARPANET was removed from service. The denial of NFSNET services led to the commercialization of the Internet in 1995 that allowed the Internet to carry the commercial traffic that was restricted till then. Since then, the use of Internet has strongly affected the cultural and commercial sectors. It led to the use of communication via (e mails) electronic mail, the (VoIP) i.e. Voice over Internet Protocol "phone calls", instant messaging as well as the synchronous video calls. The use of Internet led to the emerging of various social networking sites, forums, and blogs and also included the number of online shopping sites. The development and use of the advanced networks such as Internet2, very high speed Backbone Network Service i.e. (vBNS) of the NSF's, and the National Lambda Rail is carried out by the educational and the research institutes. The use of fibre optic networks has enabled very high amounts of data transmission at very high speeds, since they can operate at the rate of 1-Gbit/s, 10-Gbit/s, or more. According to the estimations of 1993, it was observed that the Internet carried only 1% of all the two-way telecommunication information flow. By the year 2000 this figure had grown to 51%. The recent observations indicate that, by 2007, the Internet carried more than 97% of all telecommunicated information. 1. What led to the discovery of the internet? 2. In the late 1960s and early 1970s, which type of networks was developed? 3. In which year the packet switched network ARPANET was removed from service? 4. What was the reason for the commercialization of the internet? 5. In which of the following year, the standardization of the Internet Protocol Suite (TCP/IP) took place? 5) GMAT Reading Comprehension:Adolf Hitler was an Austrian-born German who took birth on 20 April 1889. He was a great politician. Hitler was the leader of the National Socialist German Workers Party which was well known as the Nazi Party. The German name for Nazi Party was NSDAP i.e. the National sozialistische Deutsche Arbeiterpartei. From the year 1933 till the year 1945 Hitler was appointed as the chancellor of Germany. Also, he was the dictator of the Nazi Germany from the 1934 to 1945. Hitler is considered to be one of the biggest reasons for the rise of World War II, as well as fascism in Europe and the Holocaust. With his experience in World War I, Hitler joined the German Workers' Party which was considered as the pioneer of the Nazi Party, in the 1919. As a result of this, in the year 1921, he became the leader of the NSDAP. After that, he attempted a takeover that was commonly known as the Beer Hall Putsch, in Munich, in the year 1923. But he failed in this revolution. As a result of this failure, Hitler was imprisoned for a certain amount of time. During his imprisonment, Hitler wrote his autobiography, Mein Kampf i.e. My Struggle. Hitler was released in the year 1924. Hitler then received very good support after his release in 1924. He started attacking the Treaty of Versailles and promoted activities such as antisemitism, Pan-Germanism, anticommunism and many more, with the help of Nazi party line and appealing public speaking. He also transformed the Weimar Republic into a single-party dictatorship based on the autocratic and domineering principles of Nazism, after being appointed as the chancellor in the year 1933. This was commonly known as the Third Reich. He aimed to establish a New Order of absolute Nazi German supremacy in the continent of Europe. The domestic as well as the foreign policies of Hitler were designed with the aim of seizing the living space i.e. the Lebensraum for the people of Germany. He directed the reinforcement of Germany in September 1939. In the same year, Hitler began with the invasion of Poland by the Wehrmacht that led to the outbreak of World War II in Europe. In the year 1941, the German forces, along with their European associates, under the Hitler's rule occupied most of the Europe and the North Africa. But the situations reversed gradually. In the year 1945, the German forces were defeated by the Allied armies. As a result of Hitler's policies that motivated races and supremacy, eleven million people were found to be killed ruthlessly. These figures included around six million Jews as well. In the year 1945, during the final days of the Battle of Berlin, Hitler married Eva Braun. She was his long-time mistress. But, less than two days later, on 30 April 1945, the couple committed suicide in order to avoid the arrest by the Red Army. 1. What were the date and the year when Adolf Hitler did take birth? 2. The supremacist and racially motivated policies of Hitler, resulted in the systematic murder of how many people? 3. What was the name of the revolution in which Hitler had to face a failure and as a result of which he was imprisoned and during this period he wrote his memoir "My struggle"? 4. What was the name of the lady who was Hitler's long time mistress? 5. In which year the Allied armies defeated the German forces? GMAT Reading Comprehensions are understandable and easy to answer. If you want to help others then please share this post with your friends. Don't forget to submit your email address below for new updates.